Shocker (or not at all): "Every week, Goldman analysts offer stock tips [to about 50 favored clients...including Citadel Investment Group and SAC Capital] at a gathering the firm calls a &apos;trading huddle.&apos; But few of the thousands of clients who receive Goldman&apos;s written research reports ever hear about the recommendations." Why will no one trust the Swiss bank? Why is everyone acting like it did something wrong? WHY? Kaspar Villiger: "Sure, now that tax evasion being viewed as &apos;illegal&apos; they&apos;re all &apos;this is an outrage&apos; but at the time? They were sooo into it." Doom: "There are also now two reasons why there is a rising risk of a double-dip W-shaped recession. For a start, there are risks associated with exit strategies from the massive monetary and fiscal easing: policymakers are damned if they do and damned if they don&apos;t. If they take large fiscal deficits seriously and raise taxes, cut spending and mop up excess liquidity soon, they would undermine recovery and tip the economy back into stag-deflation (recession and deflation)." "We are looking to have a greater portion of our assets managed internally over the next few years," Jane Mendillo, Harvard&apos;s investment chief, says. "That will allow us to be more nimble, have better transparency into the portfolio and have more liquidity." Lock you money up with TODD Stottlemyre, and if you can&apos;t meet his minimum, Lenny Dykstra&apos;s offer to manage whatever cash you&apos;ve got in your wallet is still on the table. Apparently we&apos;re still talking about those bonus payouts and whoever approved them is going down. Capital Rule Is One Size Fits All (WSJ) The Federal Reserve shocked bankers Thursday by approving a proposal that would force even the smallest lenders to comply with the elaborate international bank-capital standards known as Basel III. The draft requirements would apply to all 7,307 U.S. banks, according to a proposal circulated by the Fed. Many bankers had expected regulators to exempt some small lenders from the new rules, which are aimed at shoring up the biggest global banks whose troubles fueled the financial crisis. While the core Basel III rules will apply to all banks, other aspects of the new regime single out the biggest, most complex banks for tougher treatment than their smaller peers. The Fed, for instance, has embraced slapping a handful of the biggest U.S. banks with a capital surcharge of between 1% and 2.5%. The Fed has yet to introduce the specific proposal. Europe's Vulnerable East Braces for Possible Greek Exit (WSJ) Government officials and central bankers in the European Union's eastern wing say they are in better shape to weather any storm than they were four years ago when the collapse of U.S. investment bank Lehman Brothers sparked a global financial crisis. But they are still vulnerable. Investors fearful that Greek elections next week will spark Athens's disorderly departure from the euro have already been selling Polish, Hungarian, Romanian and Czech assets, hitting local currencies and stock markets. Hungarian Prime Minister Viktor Orban, whose heavily indebted country is considered especially at risk, said "work has begun" on strengthening defenses "so that such a quake doesn't bring Hungary down on one knee." Euro Breakup Precedent Seen When 15 State-Ruble Zone Fell Apart (Bloomberg) The 1992 Soviet experience tells us “an exit like this is messy and leads to loss of income and inflation, and people are right to be scared of it,” said Harold James, a professor of history at Princeton University. 'Bargain' Bid as Warren Buffett Lunch Auction Goes Into Final Day (CNBC) With just over 24 hours to go, the high bid for lunch with Warren Buffett is just over $200,000. That's around 8 percent of last year's record $2,626,411 winning bid by Ted Weschler, who is now working for Buffett as a Berkshire Hathaway portfolio manager. Ted also won the previous year's auction with a bid of $2,626,311. Bear Stearns Accord Turns Another Page (WSJ) Former top executives at Bear Stearns Cos., including James E. Cayne and Alan "Ace" Greenberg, have agreed to a $275 million settlement of a shareholder lawsuit over the demise of the Wall Street firm four years ago. The deal with investors led by the State of Michigan Retirement Systems puts to an end the last major dispute surrounding the demise of Bear Stearns, whose near-collapse in March 2008 marked the beginning of the worst period of the financial crisis. Mr. Cayne, a former CEO, and Mr. Greenberg, who was Mr. Cayne's mentor and predecessor, and the other former top executives named in the lawsuit won't have to pay any of the settlement, according to people close to them. The money will come from a $9 billion fund set aside by J.P. Morgan Chase. for litigation and other expenses in 2008, when it bought Bear Stearns in a cut-price deal blessed by the government. Woman who allegedly ran down boyfriend after he damaged her iPhone says she still loves him (NYP) Jasmine Diaz told her Bronx Central Booking cellmate that she is still in love with Franklyn Hernandez, her 17-year old boyfriend who she's accused of running down with an SUV after he accidentally damaged her iPhone. “She says she loves him and she feels like s ---t, ” the 21-year-old cellmate, Michelle Rodriguez, said after being released on a shoplifting charge. Diaz, 25, was held without bail after her arraignment on manslaughter and leaving the scene of an accident for allegedly mowing down Hernandez early Wednesday morning a block away from his home on Morris Ave and E. 165th St. “Franklyn jumped in front of the vehicle and I just kept going,” she told investigators, a prosecutor said in court. Wearing a matching blue jean jacket and pants, Rodriguez said Diaz was pensive while awaiting her turn to see the judge. Bernanke Sees Risks To Economy From Europe To U.S. Budget (Bloomberg) Bernanke also warned lawmakers that “a severe tightening of fiscal policy at the beginning of next year that is built into current law -- the so-called fiscal cliff -- would, if allowed to occur, pose a significant threat to the recovery.” Prosecutors Hone Gupta Case (WSJ) Using a variety of charts and graphs, Mr. Barnacle described a repetitive, and potentially damning, pattern: Mr. Gupta would call into meetings by the boards or committees at Goldman or Procter & Gamble Co, where he was also a director, and shortly thereafter a call from one of his associated phone lines would reach out to Mr. Rajaratnam. Harvard Professor: 'Greece Is Beyond Repair' (CNBC) “The best situation for Greece is to leave the euro zone, devalue a new currency, and be able therefore to grow again,” he said. “Letting Greece go will be painful in the short run but will be better for Greece, and for Europe, in the long-run,” said Feldstein, who is also president emeritus of the U.S. National Bureau of Economic Research, and also served as chief economic advisor to President Ronald Reagan. Lightbulb eating record holder charged in string of bank robberies (NYP) R.J. Williams, 22, who holds the world record for wolfing down a light bulb in 33 seconds, was busted yesterday after a failed bank robbery attempt in Brooklyn, cops said. Williams, who lives on the Upper West Side, allegedly scored nearly $14,000 after knocking off seven branches in Manhattan, Brooklyn, Queens and the Bronx. He was nabbed when he fled an Apple Bank yesterday in Midwood. Williams had begun to write a note to a teller on a deposit slip at one of the counters when employees started staring at him, police said, because he previously tried to rob the bank on Friday. 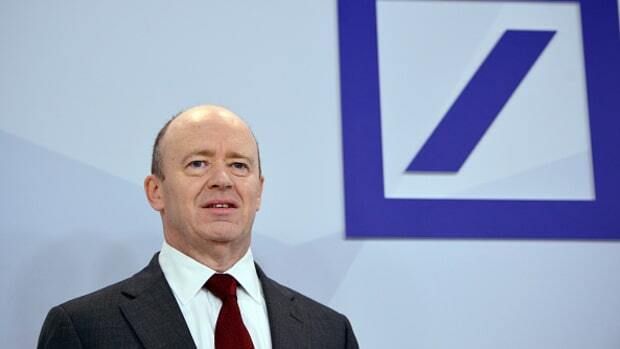 Deutsche Bank will automate all its worries away; black swan funds are going the way of the black swan; the worst imaginable Tinder date makes for the best imaginable GoFundMe; and more.